The ThinkPad is a legendary machine—it's been in space, it's displayed in the Museum of Modern Art, and as of today, the classic computer is 20 years old. Happy birthday, old guy. With a design and a philosophy inspired by a Japanese Bento box, the ThinkPad was introduced to the world by IBM in 1992. In its 20 years, the ThinkPad has gone through various makeovers, but for the most part, it's stayed true to the original form. It comes in black, it has concave keys, and it has a signature red TrackPoint that lets you navigate the screen. Though the brand was taken over by Lenovo in 2005, it's still a name that's synonymous with laptops. And two decades ago, it really changed up the way people thought about personal computing. 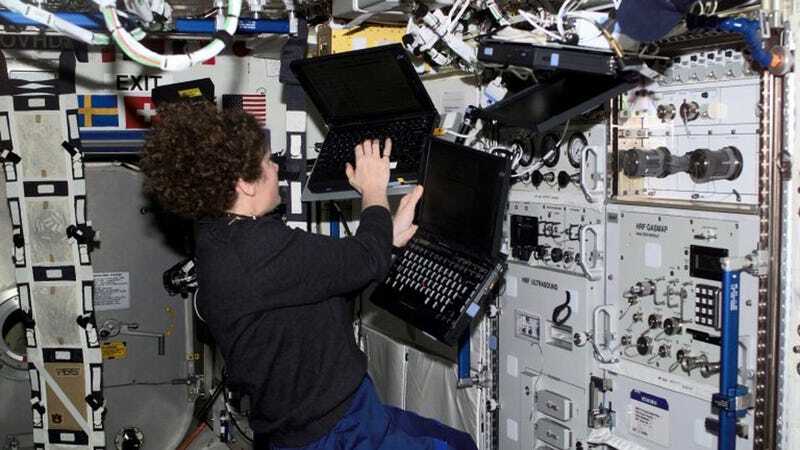 It has a crafted reputation for reliability—in fact, it's the only computer certified for use on the International Space Station. NASA literally owns hundreds of ThinkPads. Touché, MacBook. Touché.